The longest filibusters: where does Chris Murphy stack up? 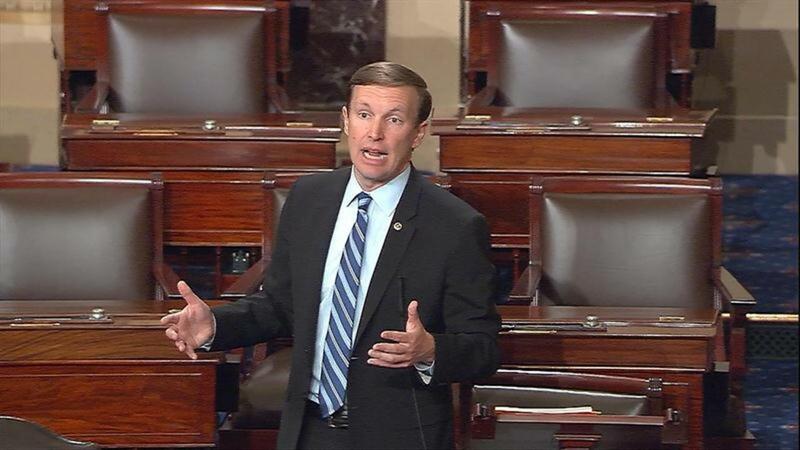 Sen. Chris Murphy catapulted into the history books early Thursday with his nearly 15-hour filibuster. The marathon address was the 9th-longest since 1900, when the Senate began keeping precise records. Here's a look at the other historic appearances. 24 Hours, 18 Minutes — Sen. Strom Thurmond of South Carolina set the current record in 1957 in an attempt to stall passage of the Civil Rights Act. He reportedly read from historical documents to pass the time. 23 hours, 30 minutes — New York's Alfonse D'Amato came in just shy of the 24-hour mark in his 1986 speech on a military-funding bill. 22 hours, 26 minutes — Wayne Morse of Oregon broke the then-record for longest Senate speech in his 1953 address on a Tidelands oil bill. 21 hours, 18 minutes, 59 seconds:Ted Cruz's filibuster-like speech in 2013 to protest the Affordable Care Act saw the Texas senator take to reading bedtime stories. 18 hours, 23 minutes — Wisconsin's Robert La Follette Sr. took the floor over a 1908 currency bill and pushed on for hours despite falling victim to a bad glass of eggnog. 16 hours, 12 minutes — His objection to allowing the national debt to go over $1 trillion saw Wisconsin's Sen. William Proxmire launch an overnight filibuster in 1981. 15 hours, 30 Minutes — Sen. Huey Long of Louisiana read and analyzed each section of the Constitution then gave out recipes in his marathon attempt to retain a provision about National Recovery Administration hiring on June 1935. 15 hours, 14 minutes — Sen. D'Amato spent all day on a "gentleman's filibuster" in 1992 in support of an amendment to a tax bill. 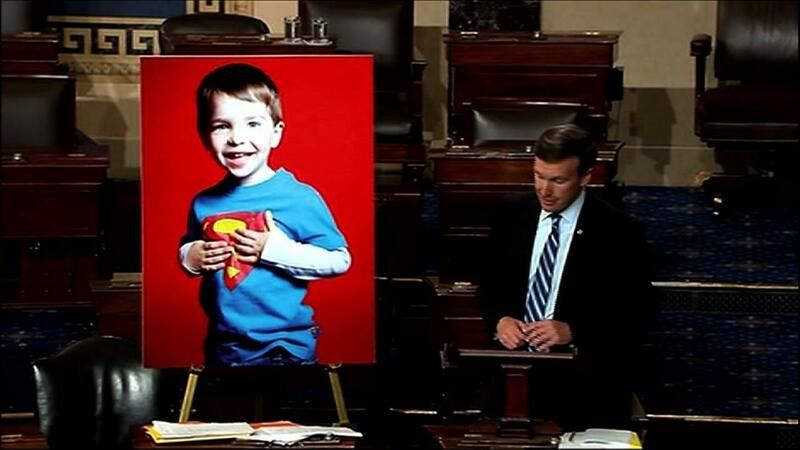 14 hours, 50 minutes — Connecticut's Sen. Murphy said rehabilitation from a back injury had helped him build up his endurance for the filibuster on gun-control measures. 14 hours, 13 minutes — West Virginia's Robert Byrd went down in history when he finished his address about the civil rights act on the morning of June 10, 1964.